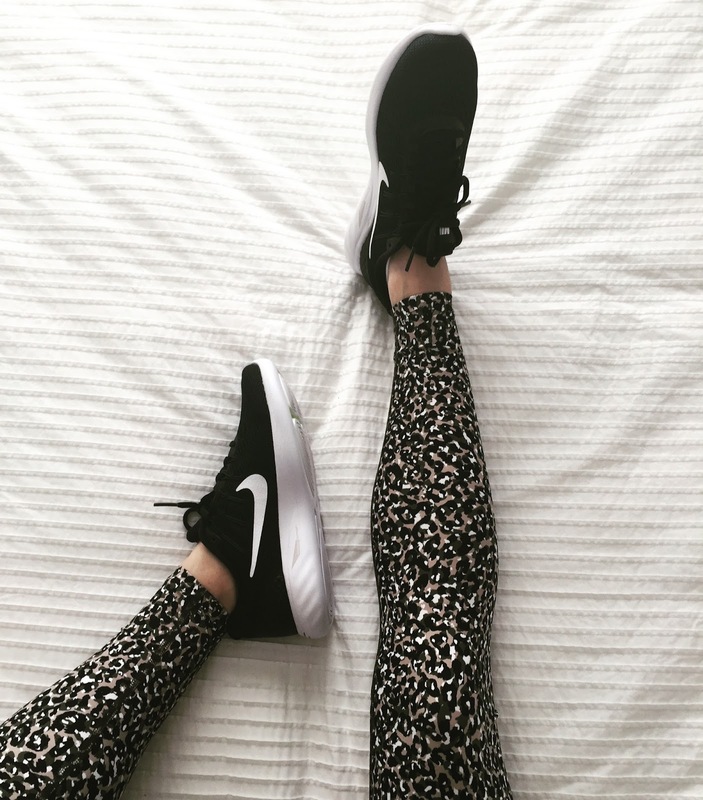 These animal-print tights from Running Bare are my new faves! I've been meaning to stock up on some new, fun workout wear but, have been run off my feet - pardon the pun! I wore these tights for my workout today and they are comfortable, breathable and feel so silky on, so much so I kept slipping off the seat whilst on the rower haha! I absolutely love the neutral tones - it means I can pair them with a variety of colours. Plus, they have a high waistline and contour to your body; like second skin! Also, my Nike Lunarglide 8's are the ultimate in comfort. I wear mine casually on a daily basis and they feel so smooth on, almost like your're gliding, literally! Although you may wear them for running and training, I don't. (I wear ASICS Kayano when I exercise because I need the additional support around my ankles). I was in Rebel over the weekend and noticed these sneakers are reduced to $105 from $200, which is a great price! I highly recommend these, especially if you're on your feet all day. The classic style and simple black and white combination makes them simple yet classy enough to be worn as part of a trendy-sporty look.